Antalis has launched the Creative Power initiative to promote papers in general, and creative papers in particular, to those that are increasingly adopting new technologies such as creative professionals, communication agencies and brand owners. Antalis is convinced that paper can play a powerful and effective role in brand communication and can supplement customers’ 360° communication strategies. First and foremost, this approach is based on a market-leading, globally available range of creative papers. Then, to help its clients make the best choices to suit their projects, Antalis has developed a network of paper consultants throughout the world to provide expertise and advice. Antalis also offers a broad range of services (samples, mock up, swatches, training courses, etc. ), and in many countries Antalis has also opened showrooms: real innovation and discussion places. In 2016, this initiative saw the launch of the “Book of 12”. 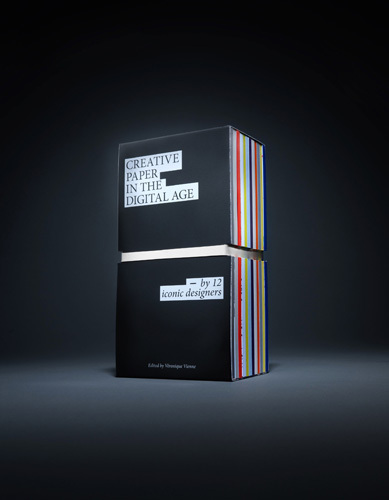 Produced by Antalis, this book describes how 12 iconic graphic designers view paper in the digital age. It has been distributed to more than 10,000 creative professionals worldwide.